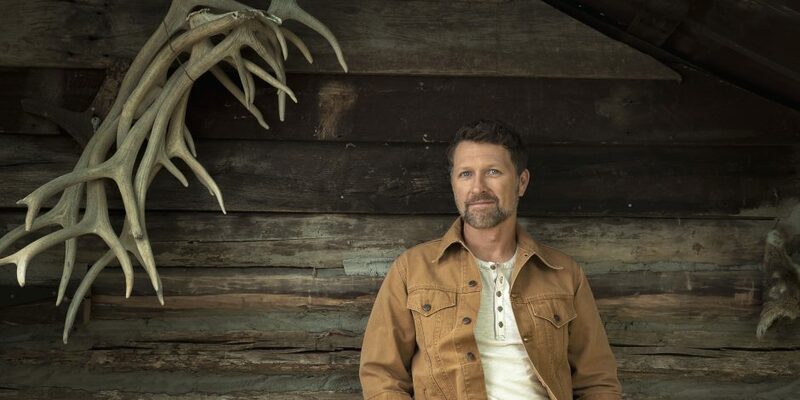 Upon first meeting Craig Morgan, it is obvious why he is the star of two television shows — his boundless energy is infectious and his presence lights up a room. His friendly demeanor and unbridled honesty are also inviting, while his booming laugh and positive outlook make him instantly feel like an old friend. On a balmy Saturday afternoon in February, the “That’s What I Love About Sunday” singer invited members of the media to his new storefront, The Gallery at Morgan Farms in Dickson, Tenn. For several hours, he introduced his new family-run business and shared heartfelt, and sometimes tearful, stories about his late son Jerry. While his daughter, Alexandra, was by his side, the family discussed the aftermath of 19-year-old Jerry’s death from a boating accident in July 2016 and shared how each member coped with the devastating loss. Morgan, who is used to being in the limelight as host of Craig Morgan: All Access Outdoors on the Outdoor Channel as well as his new show, Morgan Family Strong which premiered on UP TV March 1, would go to his wood shop and whittle by himself to try and make sense of his son’s death. When his family saw what he was creating in his shop, Alexandra suggested posting photos of some of the items on Facebook in an effort to sell them. Business took off quickly and they sold many of Morgan’s handmade designs. Shortly after, while driving by the downtown strip, they noticed a building for sale in the heart of town on N. Main Street and thought it would be a good idea to have a storefront. Built in 1914, the building that now hosts The Gallery at Morgan Farms was formerly the Dickson Furniture and Undertaking Company and locals would come visit the location on horse and buggy. As Alexandra jokes, they had furniture for before you died and after you died. Once Morgan’s family bought the building, the singer renovated the property himself. The beautiful trim on the floor of the downstairs area was taken from around the building and repurposed. Some of the wood found on the premises now serves as shelves to display the items Morgan and his family have made. Morgan says The Gallery at Morgan Farms helped bring his family together during a difficult time following the loss of Jerry. While each member has individual projects to accomplish on a daily basis, they all work together for the overall business of the store as it gives them purpose and keeps them occupied instead of dwelling on their loss. Everything sold at The Gallery at Morgan Farms is made by someone in the family. Morgan’s wife, Karen, and daughter make sugar scrubs and lip balms. His oldest son, Kyle, makes beard oil and Morgan’s sister makes baby bibs. The family also raise bees for harvest and make their own honey locally. 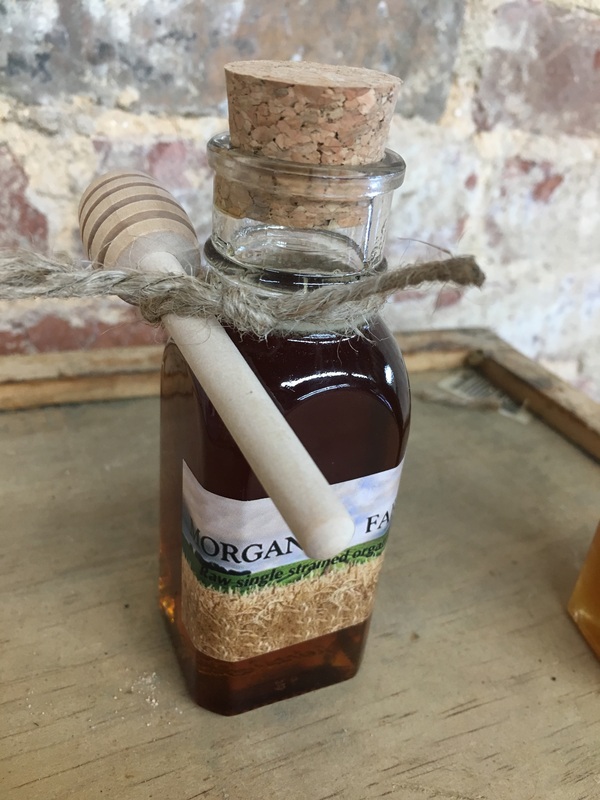 The honey is the most popular item in the store and as Morgan explains, the effects of locally made honey has been proven to enhance one’s resistance to local allergies. The family store is unique, in that every item in the shop has a story. Whether the wooden bowls, spoons and cutting boards on display are made from a fallen tree on Morgan’s property or found from a tour stop somewhere on the road, it’s all crafted by someone affiliated with the family. 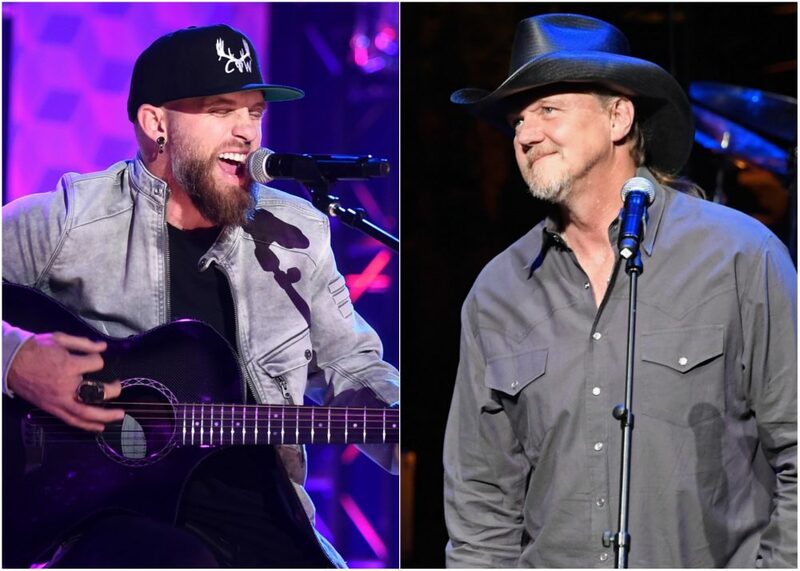 Artists including Eric Paslay and Zac Brown are also contributing to the store. Paslay made a nightlight from an old radio, which is currently on sale, while Brown is in the process of creating a knife that will only be available at Morgan Farms. A veteran himself, Morgan spent 17 years serving our country. As a result, he makes a point to help veterans whenever he can and has some artwork from local veterans on display. Additionally, the loft space above the storefront offers a meeting space for veterans where they often come to hold potluck dinners and offer support for one another. In addition to selling work from local veterans at his store, Morgan has partnered with Operation Finally Home to help build mortgage-free homes to veterans and their families. 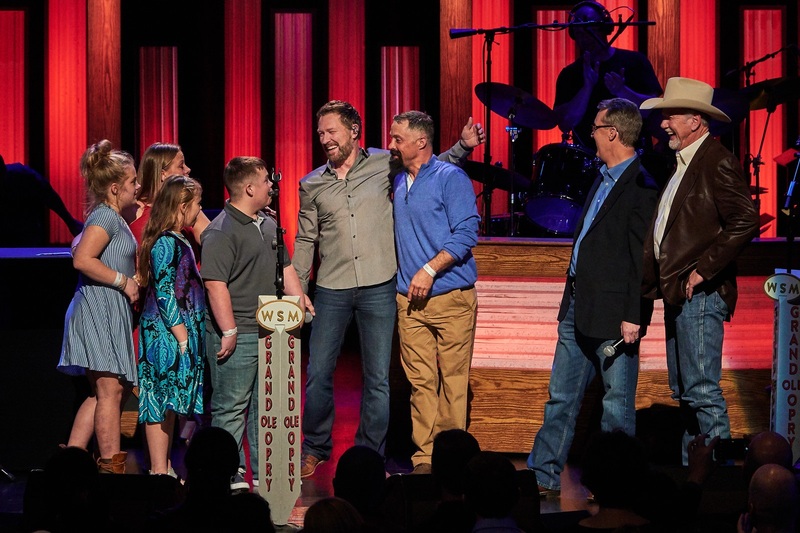 He recently surprised U.S. Army SFC Josh Ferguson and his family during a performance at the Grand Ole Opry by revealing that a home will be built for them in Dickson County, Tennessee. Morgan admits that he never dreamed he’d pursue a career in music. In fact, he envisioned he’d be a fireman, policeman or soldier forever. While he loved singing and writing songs, he chose a career in the U.S. Army and as a result, lived a lot of life before the opportunity to become an entertainer presented itself. Well into his career in the U.S. Army, Morgan vividly remembers sitting down with one of his commanders and telling him that he was contemplating leaving the military to pursue music. “He told me, ‘I think if you stay in the Army you could be the Sergeant Major of the Army some day. But I would also tell you that I think you have the opportunity to do something and you have the gift to do something that not a lot of other people do. So, I think you should at least try,'” Morgan shares. While Morgan says he has never taken his music career for granted, he admits that it doesn’t dictate who he is as a person either. 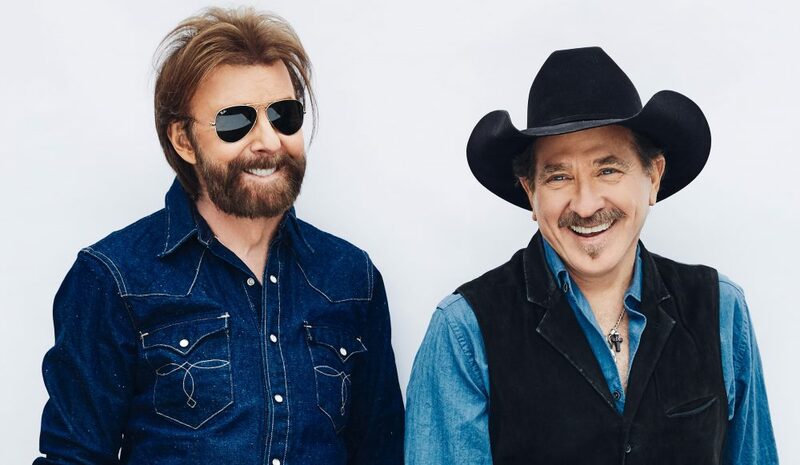 Throughout his career, Morgan has had 25 songs on the Billboard country charts including “This Ole Boy,” “Redneck Yacht Club,” “Wake Up Lovin’ You,” and “Bonfire,” among others. His No. 1 hit “That’s What I Love About Sunday” was the most played country song of 2005. Morgan says he attributes all of his success to what his mother, father and the military taught him. Meanwhile, he admits that he refuses to change who he is, what he thinks, or the things he does in life because of what he does for a living. He then uses an anecdote from his early days of radio tours as an example. Luckily for Morgan’s fans this doesn’t seem like it will happen anytime soon. The Grand Ole Opry member is currently in the studio finishing what will likely become his eighth studio album. While he says he has no clue when new music will be available, he’s hoping it will be released later this year. One of the new songs that will be on the project is a track he wrote called “Old Tattoo.” It also happens to be the name of his new brand of wine, available through Lot 18. The song details a soldier dreaming of returning home. While Morgan didn’t reveal too much about his new project, he did admit that it covers the spectrum of the country format. He adds that for the first time in his career, he cut an album without any restraints and it includes some of the best songs he’s ever recorded. 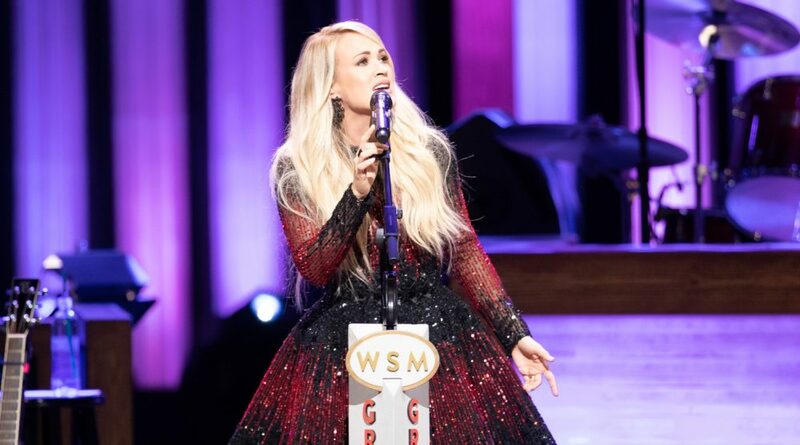 While country fans eagerly await new music from Morgan, they can tune into his television series, Morgan Family Strong, every Thursday at 9:30 p.m. ET on UP TV. The docu-series follows Morgan and his close-knit family as they navigate the heartbreak of losing Jerry and launch The Gallery at Morgan Farms. Morgan, his wife Karen, Alexandra and sons Kyle and Wyatt star in the show and the singer says the series was a long time in the making. The concept of a family show was conceived before they lost Jerry. The family was approached by a production company and some footage was shot but the timing wasn’t right. Shortly after, Jerry had his boat accident and the family decided not to pursue it further. Once they began the process of opening up the store they were approached again and decided to try the show. While Morgan’s wife isn’t a fan of being on camera, he says that she appreciates the impact they’re having and hopes to be a positive light for people as they share their story and faith with viewers. In one episode, Morgan surprises his wife in Alaska by bringing her and the kids to a cabin he built as a family getaway. He then shares that he was able to get approval to rename the lake on the property Jerry Lake. An emotional moment, each episode touches upon the loss of Jerry as the family keeps his memory alive. Jerry was beloved by many and Morgan and his daughter get visibly emotional when recalling the day of his funeral where the line of people paying their respects was two-and-a-half miles long. Industry friends including Trace Adkins, Charlie Daniels and Chuck Wicks attended to show their support for Morgan, and Jerry’s friends wrote messages on sticky notes and stuck them on Jerry’s car. As she and Morgan dry their tears, Alexandra jokes that they’ve formed a new band called Craig Morgan and the Weepers. Morgan then praises his late son, admitting that if Jerry was still around he’d be the star of Morgan Family Strong. With everything the Morgan family does, they’ve made a unified decision to leave a positive impact. They’re so invested they even sell a t-shirt that reads, “Morgan Farms is H.A.P.I.” (Having A Positive Impact). 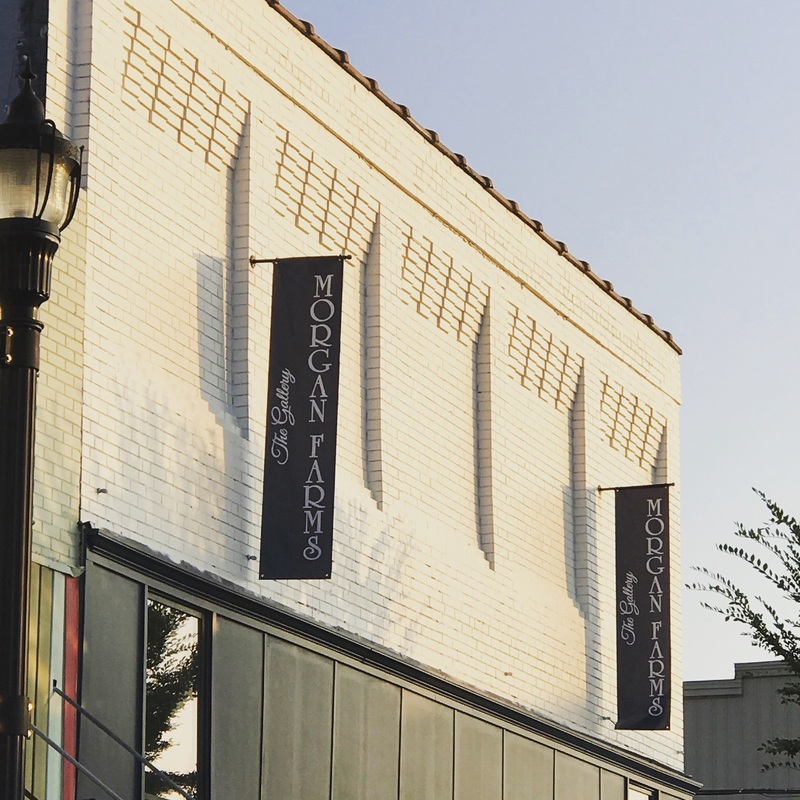 After watching Morgan Family Strong and visiting The Gallery at Morgan Farms, this positivity is inspiring and leaves viewers and visitors with a renewed outlook on life. It’s this very concept that first motivated the family to pursue both the television series and family store, and something that Morgan hopes to be remembered most for.